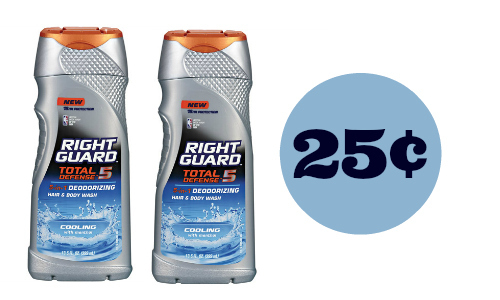 There is a new Right Guard coupon that makes body wash 25¢!! This is a great chance to have a great smelling husband for less than a candy bar. You can go here to see all of the current CVS deals. –like getting both for 50¢ or 25¢ each!